The Ice Bucket Challenge — those videos of friends, family members, and celebrities dumping ice water on themselves to promote awareness and funding of amyotrophic lateral sclerosis (ALS) research — was a veritable media sensation in 2014. By all accounts, this is important basic research that may one day form the underpinnings of an effective therapy. But then again it might not — and if past experience is any guide it probably won’t. And so we must step back for a moment and examine how this research is being framed and how that framing affects public perceptions and, ultimately, policy towards research funding. It took us mere moments to find two experts who — after taking a closer look at the actual study results — emphatically denounced the use of “breakthrough” to describe the findings and suggested that readers were likely to be misled. In other words, the authors do not identify a NEW gene of interest– it was ALREADY implicated– and even their work suggests it is a rare occurrence ~3% in ALS cases. Moreover, the gap between this finding and improving outcomes for patients remains as far as going from the earth to pluto. Many many many genes have been implicated like this in many many many diseases, and we still have not seen any novel therapies making any measurable impact even after many many years. Similarly, Susan Molchan, MD emphasized that such findings still leave us a very long way from any potential therapy for ALS patients. What is true? That a gene has been discovered that might lead to a treatment – but probably won’t – for a variation that might be present in maybe 3% of all cases of ALS? So much of the coverage seems to be praising the innovative PR aspect of the Challenge and reveling in its apparent vindication against naysayers. Why aren’t more reporters digging into what the findings actually mean … and what they might not mean? Not only does this shallow, cheerleading style of reporting mislead readers as to what the research actually found, but it could also have a long-term detrimental impact on the way that research is funded in the United States. Given the widespread interest in the ice-bucket challenge, we all want, we hope, we wish those funds to lead to some improvement in outcomes for patients with this conduction. But we have to avoid misleading the public that science funding leads to breakthroughs on this time frame, and for these miniscule funds. The challenge raised 125 million for the ALS organization, which is a drop in the bucket of science funding. We have to be careful not to equate philanthropy with adequate research funding. The current state of US federal funding for science is in crisis, and dumping ice over our heads, and donating to the charity or disease du jour is not a substitute for a robust science and clinical research agenda. It may give a boost to one disease in one year, but we have lots of diseases to work against, and science takes many years. News coverage didn’t do anyone a service by trumpeting the social media and ice bucket challenge PR “successes” while failing to offer context on what the finding means – and what it may not mean, or, what we know but what we still don’t know about ALS. We all can do a better job of communicating progress in research – and evaluating claims of progress in research – without raising false hopes and making statements that cannot be supported by evidence at this time. What’s funny about that particular article is the conclusion: That words in news stories matter. Yet, you don’t offer any positive solutions. Not “Raise more money so they can keep working” or “Change the research so this or that can be improved.” Rather, you’re just there to bash the articles that are out there. Words matter, HealthNewsReview, and you’re not using them very well. I take strong exception to your comment. Did we point out how news reports on this study were shallow and misleading? Yes. Did we “bash” the stories? No, we did not. Our mission here is not to “change the research” as you suggest but to change the journalism so that readers are better informed. And this post is replete with context and details about the study that could have and should have been included in news reports so as to avoid misinforming readers and raising false hopes. Moreover, we spend every day systematically reviewing news stories similar to these and offering suggestions on how journalists can do better. We have thousands of such reviews on our site. We also offer a toolkit for journalists on how to understand and report on studies better. Please, take a moment to educate yourself about our project and our purpose before accusing us of “bashing” anything. As a member of the media, I believe in transparency and honest reporting. When we tell the truth, it is the public’s prerogative to reject facts (as stubborn and unwelcome as those facts might be). But when we willingly- or unwillingly- report inaccurate or misleading information, we have *earned the public’s scorn, ridicule, and mistrust. It is insincere of the media to report false information for the sake of protecting people from reality. My uncle passed away this year of ALS. It is a complicated disease, but I hope people understand efforts like the Ice Bucket Challenge to raise money for research are never in vain. My beloved sister-in-law was devoured by ALS and lost her life to it. I began crying when I saw the post about a breakthrough, in finding a cause which means a possible cure in my mind and heart. If one ounce of that money has helped one person and their family cope with such a vicious beast then it was well worth the effort. I feel like your article dumped ice water on my hopes that no one ever has to witness the destruction ALS does to the physical body leaving the mind trapped knowing the loss of every freedom we take for granted. Did anything positive come out of the research monies? Unless you have held the hand of someone who wants to hold it back but can’t then you cannot imagine the helplessness and hopelessness. When she was dying our prayers were that someday, somewhere, someone would find the source and end this beastly disease. The Ice Bucket challenge brought joy to those of us who have loved someone who is either battling it or has died from it. It is a death sentence and she was gone 3 years after the diagnosis. I am sorry for the pain you’ve endured and sorry if our post in any way contributed to it. Our post was not meant to dampen enthusiasm for ALS research progress. It was a call for researchers, charities, and the media to frame results appropriately and provide context in their messages about research. We are all for hope, but we are against false hope. We’ve seen too many times that what researchers and the news media call a “breakthrough” is not what average people think a “breakthrough” is. And we’ve seen that with this very study, as some people mistakenly believed that the “breakthrough” might mean a new treatment or cure had been discovered or was very close. As we made clear in the post, this is very incremental progress toward any potential therapy that still lies a very long way away and would benefit only a small number of ALS patients. We think the public can handle that truth and that journalists have an obligation to provide it. This article may as well have just told anyone living with ALS today to just off themselves snd be done with it. You can’t live without hope. And unless you have experienced this horror show if a disease first hand you could have nonidea the emotional pain you just caused to PALS and their families. The only thing that gets us through the day is the hope that a treatment ir cure is on the way. Otherwise I swear I woukd just shoot my self and be done with this nightmare. Shame on you. You can choose to take whatever meaning you wish from my words, but I haven’t done anything like what you’ve accused me of. If you take comfort and inspiration from the stories that we’ve criticized, that’s your prerogative. We’ve also heard from those affected by ALS who decry the hyping and misreporting of the study. They see this as manipulative and harmful to long-term research efforts and crave real progress. Susan, the positive solution is to be truthful and objective when reporting news. Debi, that’s sad, but then again, don’t blame the messenger. An interesting article that confirmed my suspicions. Too bad a lot of people seems to prefer lies and half-truths over reality. Why do the tweets quoted in the article lack attribution? I didn’t attribute the tweets because I thought there was a chance those people, or others, would think that I was criticizing the tweeters. And that is something I didn’t want, especially for the woman who was tweeting about losing her dad to ALS. I wanted to draw attention to the misguided perceptions, not the people who held them. Great post and thank you for pointing out the lack of transparency in reporting this study and the obscene marketing hype of this “breakthrough.” Misleading information like this hurts everyone – patients, caregivers, supportive families, funders, scientists and support organization alike. In a rush to claim success in a timetable that benefits an organizations fundraising schedule, the marketing is manipulative and disingenuous. This is “the emperor’s new clothes” situation and while your post points out the obvious and provides an accurate assessment of the issues, you also offer concrete tools to aid in transparent reporting going forward that does not mislead. Unfortunately, it needs to be said but it’s still painful for families impacted by ALS. The experience of watching a loved one lose everything including their final breath, leaves such a scar that anytime ALS is mentioned it reminds people how long it has been without tangible progress. No one wants real progress more than us. I was happy to see the dollars generated by the IBC flow towards the cause of ALS. The dollars were/are desperately needed for research and advocacy that improves the lives of those fighting ALS. Unfortunately without a definitive strategic impact plan like Alzheimer’s disease has to direct how funds are spent for federal and private funding initiatives and a prioritization of the science and care initiatives it feels like we will continue to wander though this fog broken only by the foghorn of “breakthroughs” timed for each July just in time to provide a “payoff” to generate more donations. Meanwhile we can’t fathom seeing more of our family and friends impacted by this beast. Thank you. I will celebrate when there is aa accessible treatment or cure! These headlines hurt those dealing with the reality of ALS. If you’re reporting on “basic research” can we start getting quoted opinions from BASIC researchers (I’d like to see a PhD..professional scientists)? Not MDs, not people that don’t do basic research…someone who actually tries to do these types of gene association studies. Anyone can have an opinion on this, but it doesn’t mean it’s correct or worth listening to. Thanks for your comment. I disagree that only basic researchers and PhDs are qualified to comment on this kind of study. I’d much rather hear the opinion of someone who actually sees patients and understands the clinical ramifications of the research. Susan Molchan, for example, who was program director for clinical research for Alzheimer’s disease at the NIH, is extremely well-versed in all phases of research and her opinion is well worth listening to. Sorry to see that the glass half empty approach in your opinion. May and might, as an ALS family we choose to read these words in the positive and not the negative and look at it as hope not false hope. And everyone is once again talking about and donating again. Debi you have articulated my opinion with grace and truth. 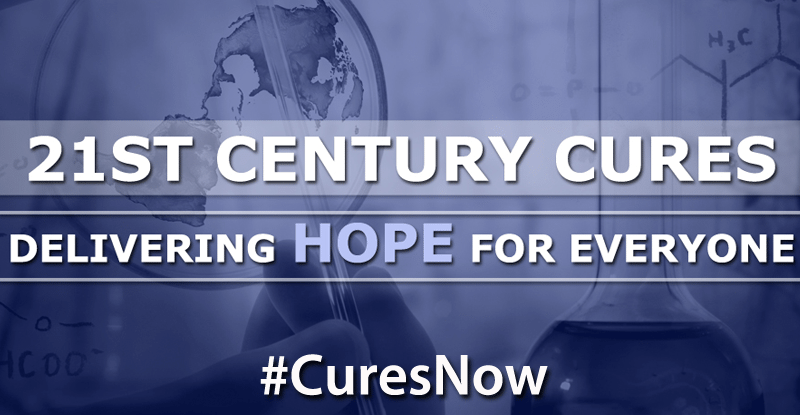 ANY finding in this disease is one step closer to a treatment, we have had NO discoveries in way to long. Thanks for your comment. I don’t think asking journalists to report the actual results of the study and its ramifications for patients is a “glass half empty” view. It’s simply reality, not positive or negative. Thank you for shedding reality on this horrendous disease. I really wish people would stop toying with the hearts and minds of those who suffer with this torturous and unforgiving disease. May God have mercy on us all. Our family have lost my father, grandfather and my niece’s father who law to ALS. Maybe I have become cynical but while I read reports such as this with interest, I will believe in a breakthrough when I hear they are getting results in treating or curing the disease. I believe the ice bucket challenge also provided much needed money for charities to support sufferers more effectively and that is more than worthwhile. Good grief. Any regular reader of Health News Review appreciates articles like this for precisely the reason that some commenters here are attacking it. 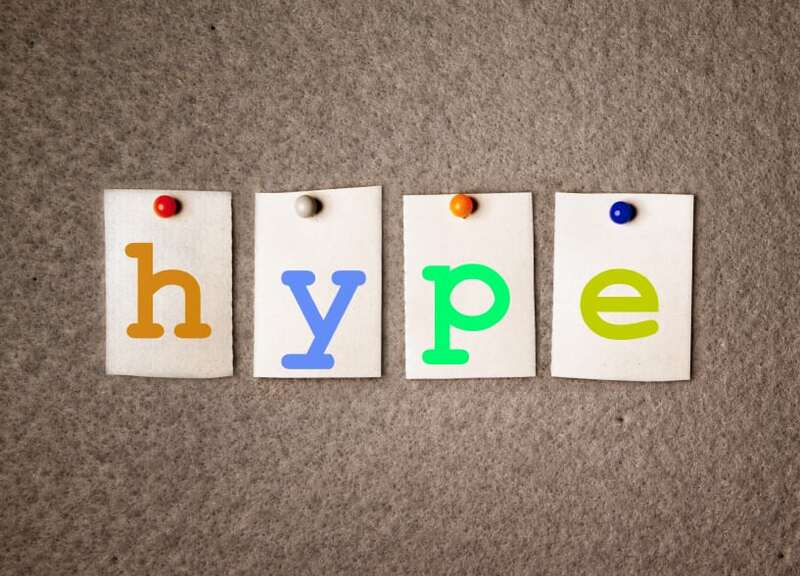 We count on HNR to point out the differences between reality and hype. I’ve learned from years of following your posts that whenever I read or hear the words “breakthrough” or “miracle cure” or “Dr. Oz” in a big media blitz, whatever follows will be more press release than fact. Personally, I like facts, and this Ice Bucket challenge report simply shares more of those with us. Thank you for that. In reading the comments to this article, I think we have a case of reaching the wrong audience. It is my understanding that this site is for journalists, particularly those who cover the healthcare industry. It’s not about debunking this study or the implicit value the ice bucket challenge has on medical research. 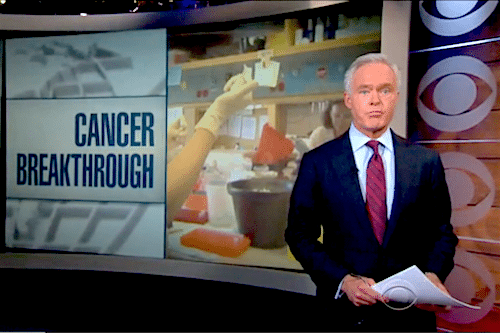 It’s evaluating the quality of the reporting on health-related topics. This is more of a teaching aid than it is a news site. It’s providing real life examples of how not to report a story and provides best practices for reporting. If you are complaining about the “negative” views this article takes on this research, this article isn’t for you. You are allowing your emotions to cloud your understanding of the articles intent. A journalist who is committed to accurately reporting health information knows that research is slow moving.